This is last year's sequel to the highly enjoyable OSS 117: Cairo - Nest of Spies (2006). 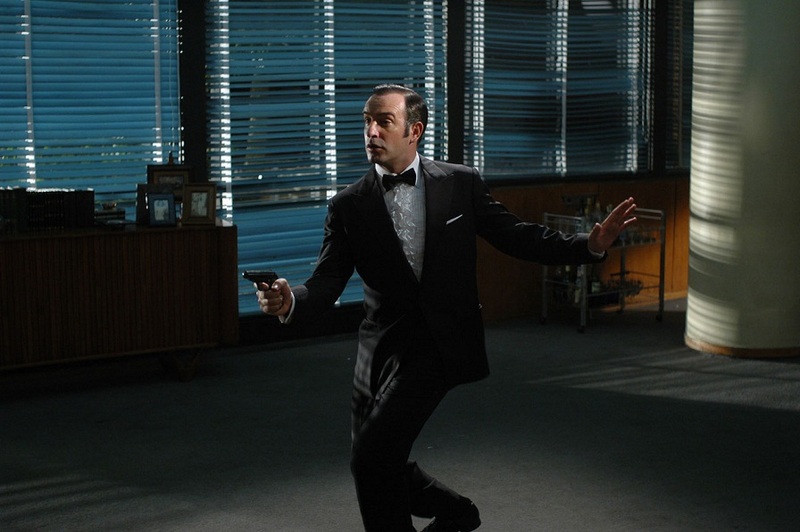 OSS 117 was originally a serious character in books and films, a French secret agent who first appeared in 1949. 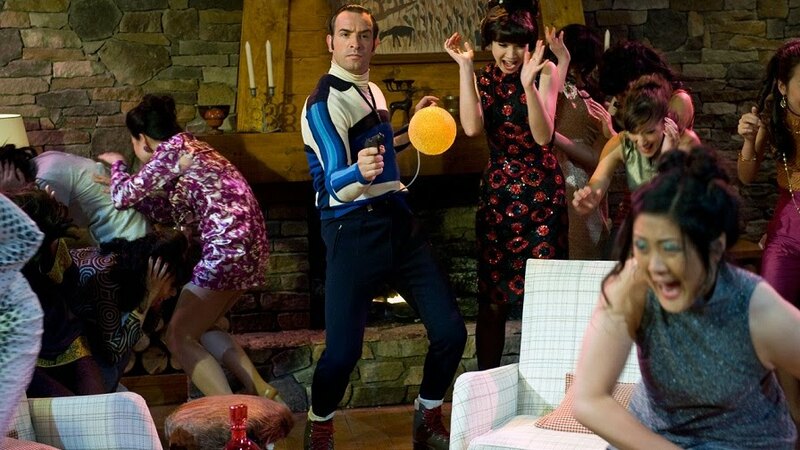 These new films spoof the old OSS 117, James Bond films and, this time, even Hitchcock. The year is 1968. Once again, France's best secret agent, (the best at vanity and pig-headedness) is on the case. Besides an important mission to Rio to deal with Nazi blackmailers, he's also being targeted by Chinese assassins. 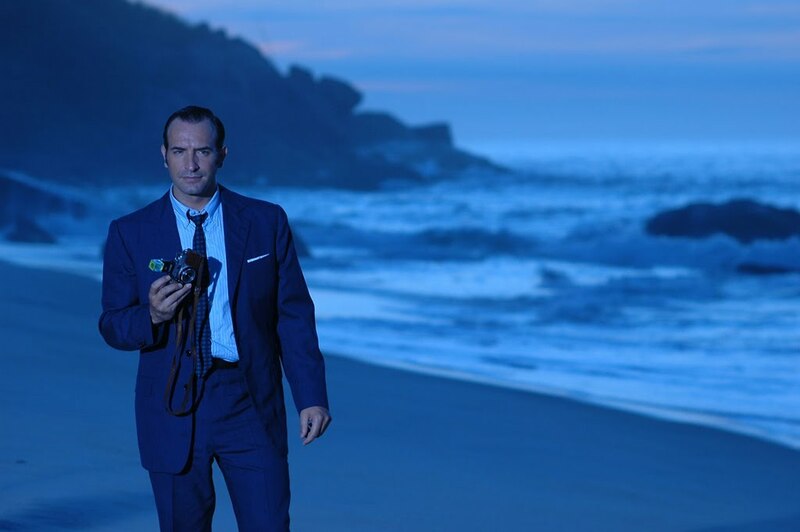 Going undercover to team up with the American and Israeli secret services, tracking the blackmailer leads him around some of Brazil's most spectacular tourist spots. The fun begins from the very first second, with a spoof of the late 1960s use of complicated split screen images (think Grand Prix or The Thomas Crown Affair), filling the widescreen frame with a brilliantly co-ordinated overuse of parallel action. If you think you know split-screen from Brian De Palma films, when the image is neatly divided down the middle, prepare to be dazzled. While I thought there wasn't quite enough action in the first film, there's no shortage of gun battles here. While the hail of bullets manage to miss our hero, he never, ever empties his clip. OSS 117's ignorance of world politics and history missed the point of the entire Muslim nation while he was in Cairo. Now working with Israeli agents, it's similarly excruciating as he, gulp, only seems to remember the Nazis because of Hitler, rather than their treatment of Jewish people. Added to this are his complete insensitivity to the equality of women, the hippy revolution or innocent bystanders. 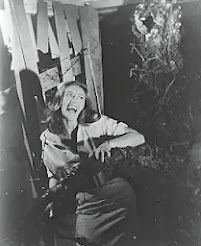 There are very few back references to the first film and thankfully few repeated gags from the first film. With advanced digital compositing, it's hard to say how much of Lost In Rio was actually shot there. But I recognised a few nods to the Bond film Moonraker (1979) which used some of the same Brazilian locations. Jean-Paul Belmondo's That Man From Rio (1964) may have been a reference too, which also visited Brasilia, while the city was still being built. Thankfully OSS 117 gets to dance again. Once more, actor/comedian Jean DuJardin is effortlessly funny, and I'd like to see more of his films, comedy or otherwise, but none seem to be subtitled anywhere else in the world. 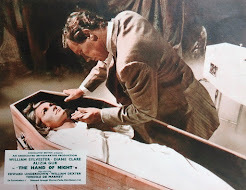 I also really liked the soundtrack, a very catchy mix of contemporary crooners and modern lounge pastiche, incorporating nods to John Barry, Henry Mancini and Bernard Herrmann. I can't find it on CD anywhere, but can be downloaded from iTunes and Amazon. 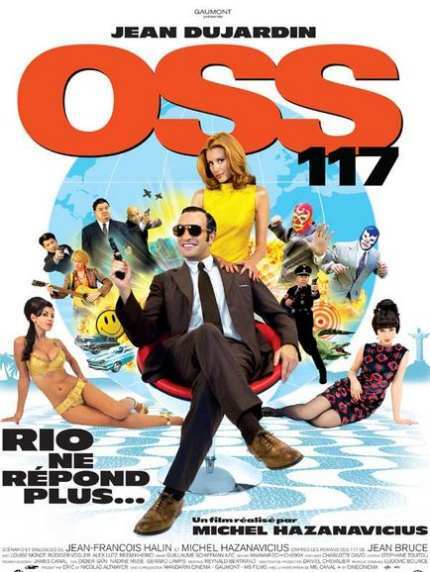 While a third film is supposed to be in production at the moment, OSS 117: Lost In Rio is out now on DVD in the UK from ICA Films, and coming soon to the US. 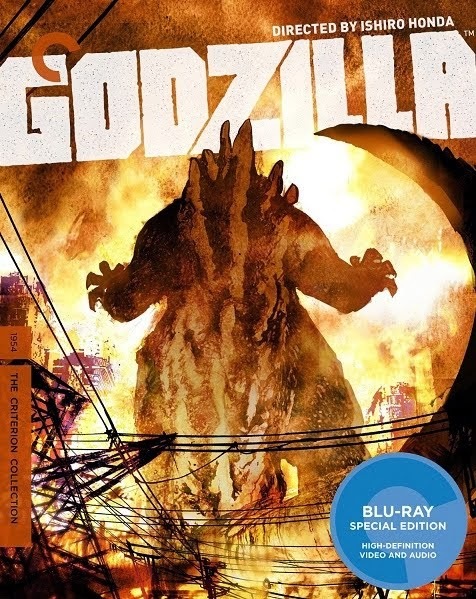 The region 2 DVD only has English subtitles, with no dubbed audio track.